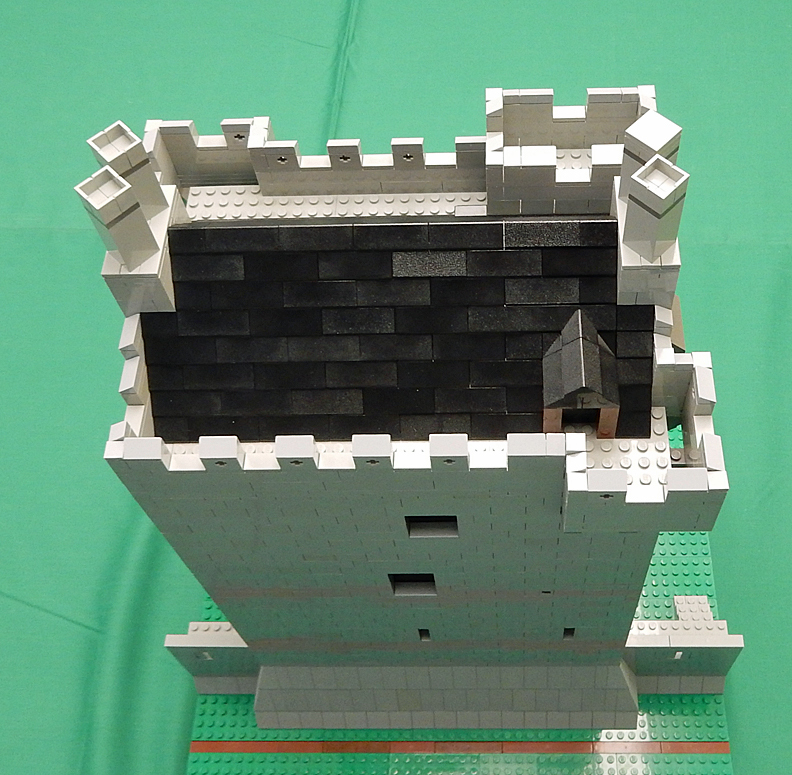 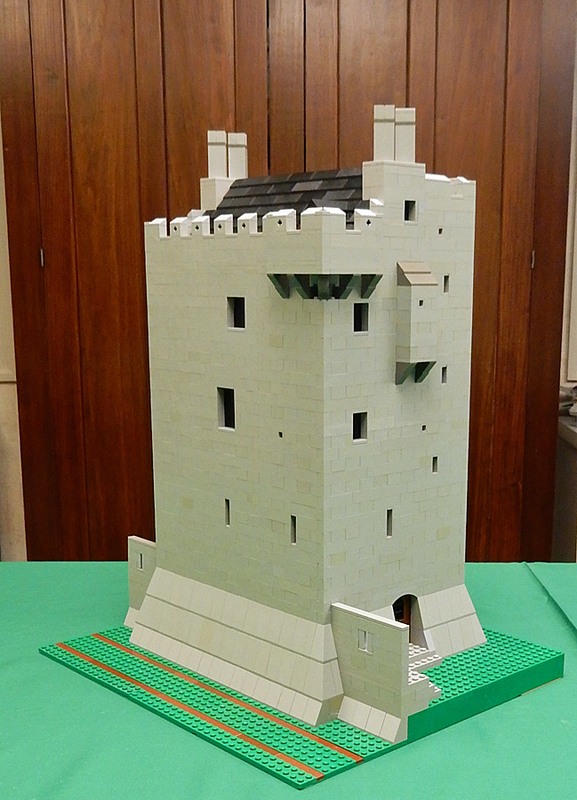 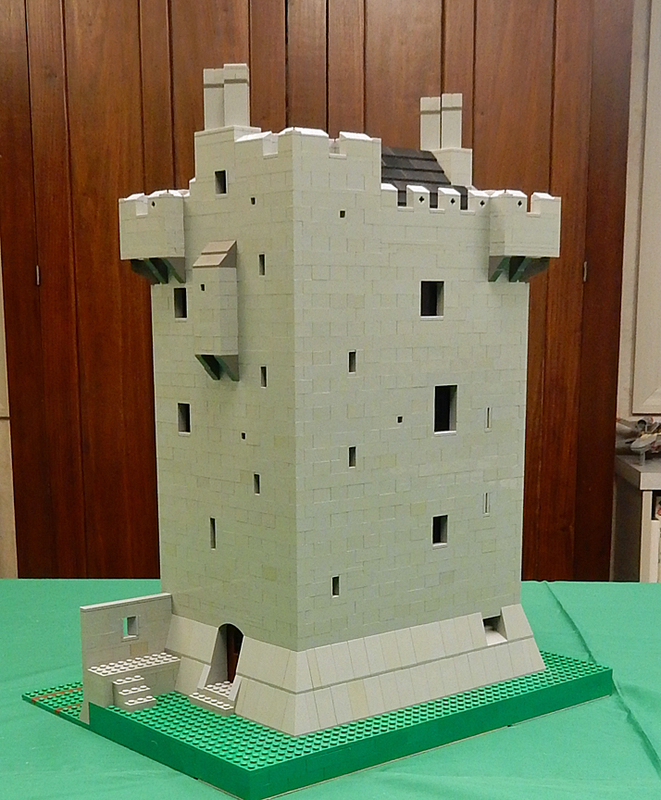 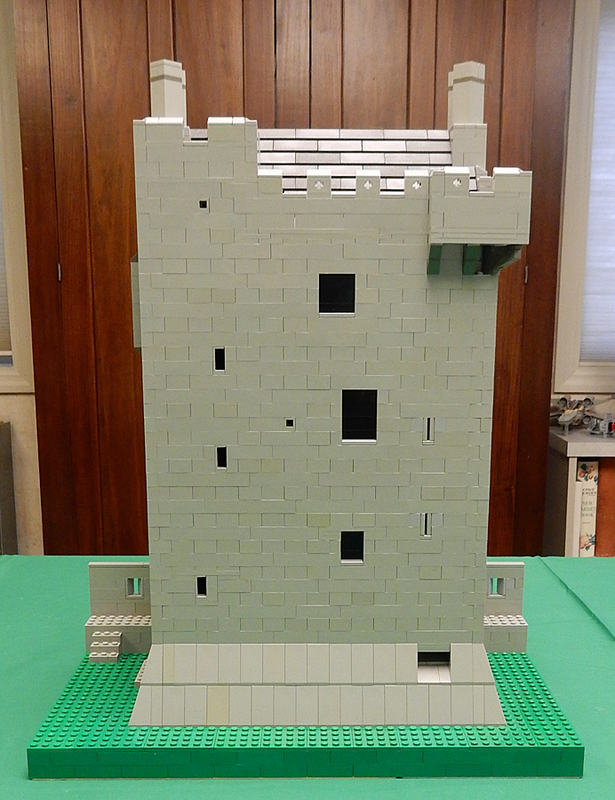 This is one of those castle projects that comes out of nowhere, and makes my hobby/avocation a joy year after year. 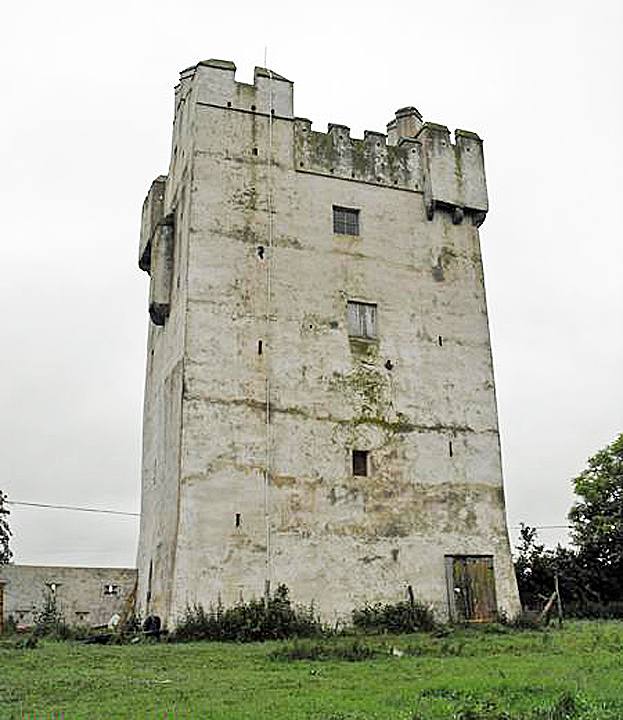 The owner and restorer of this fine Irish tower emailed me in August 2016, hoping I'd had recent contact with the American owner of Ballytarsna Castle in County Tipperary [which see]. 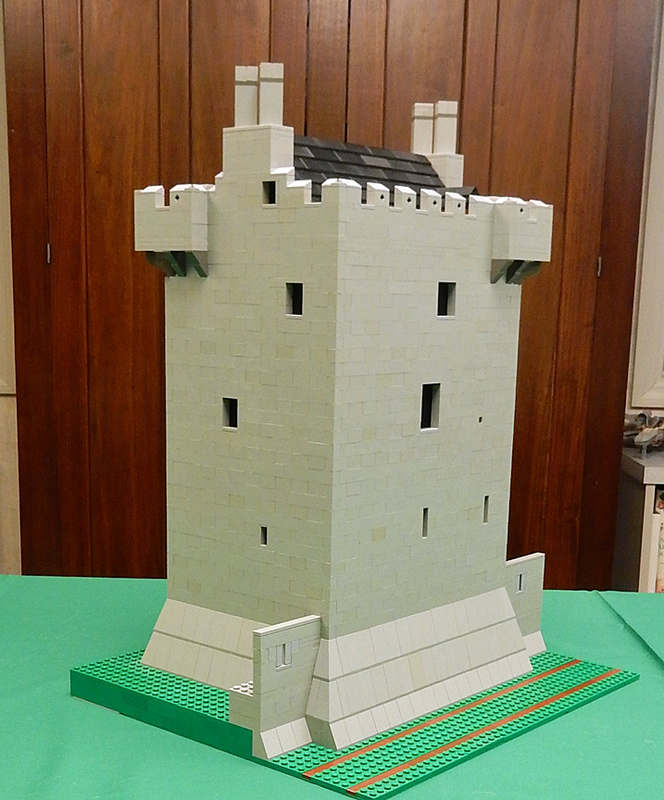 He'd lost contact - but so had I... His castle was similar to Ballytarsna in size, but with many subtle differences, so I thought "Why not build a model?" 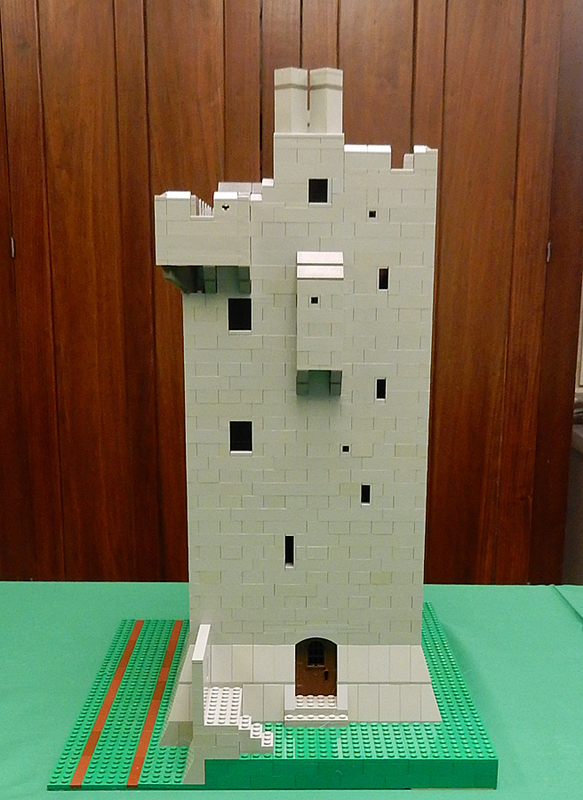 The tower measures about 21 x 27 feet by 54 feet tall, with the ground and first stories featuring a small room, a larger room and the spiral staircase. 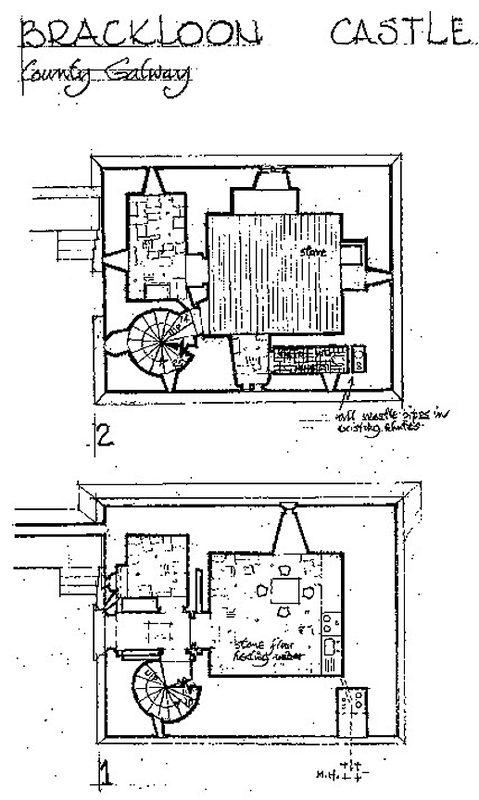 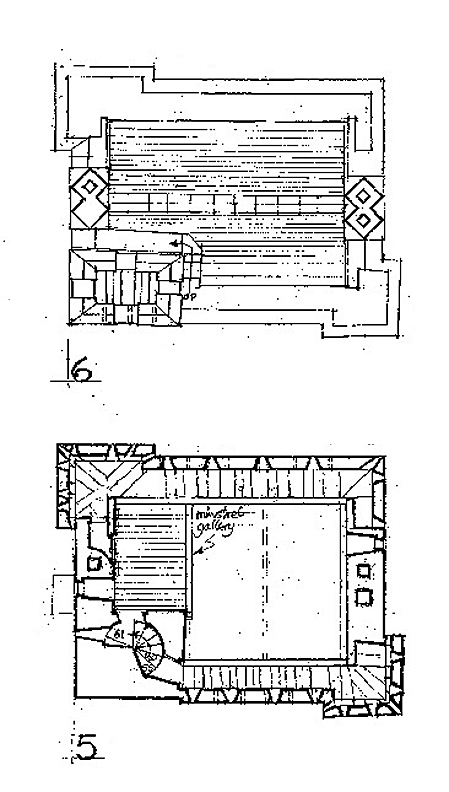 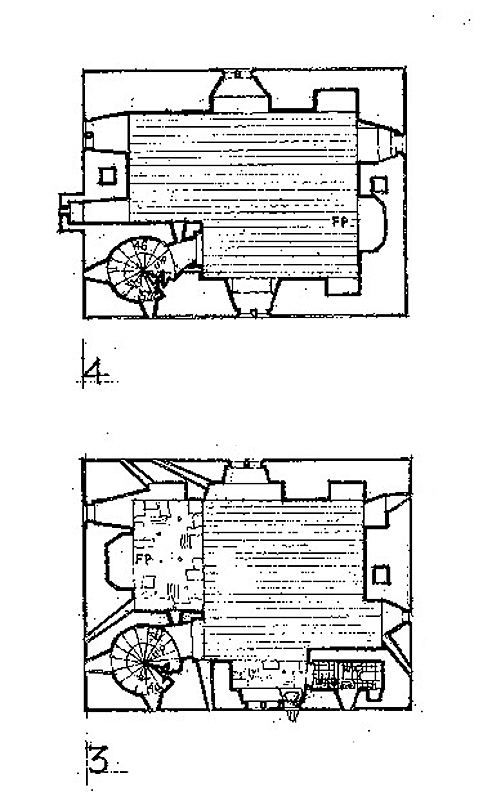 The 2nd and 3rd stories feature a single L-shaped room, with a garderobe on stories 1 and 2. 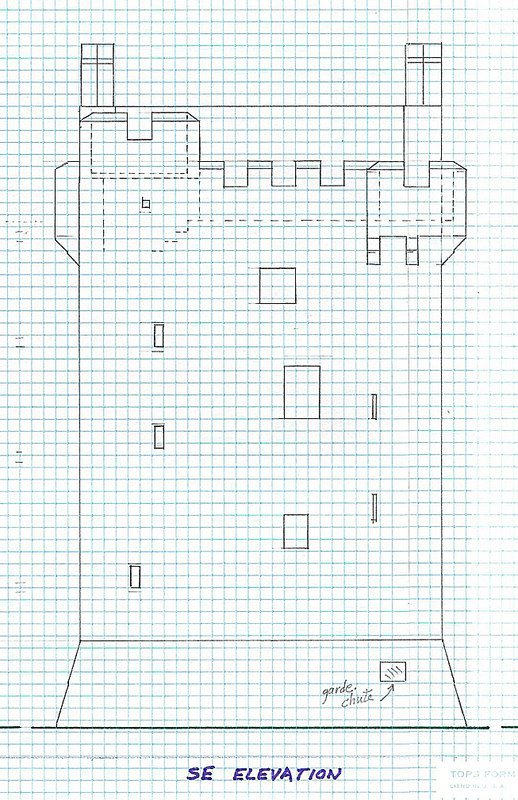 The entrance is guarded by a machicolation, a yett and a murder hole. 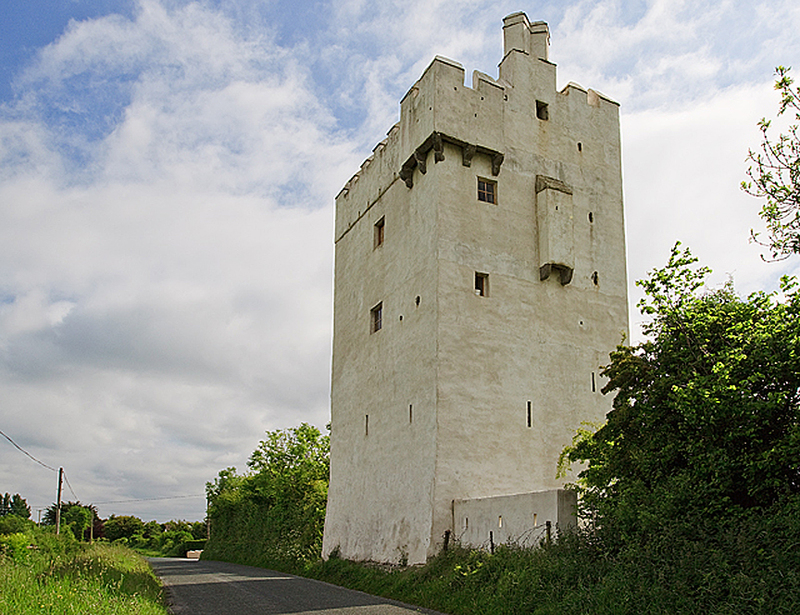 The castle's name derives from Gaelic "Breac Cluain" or speckled meadow. 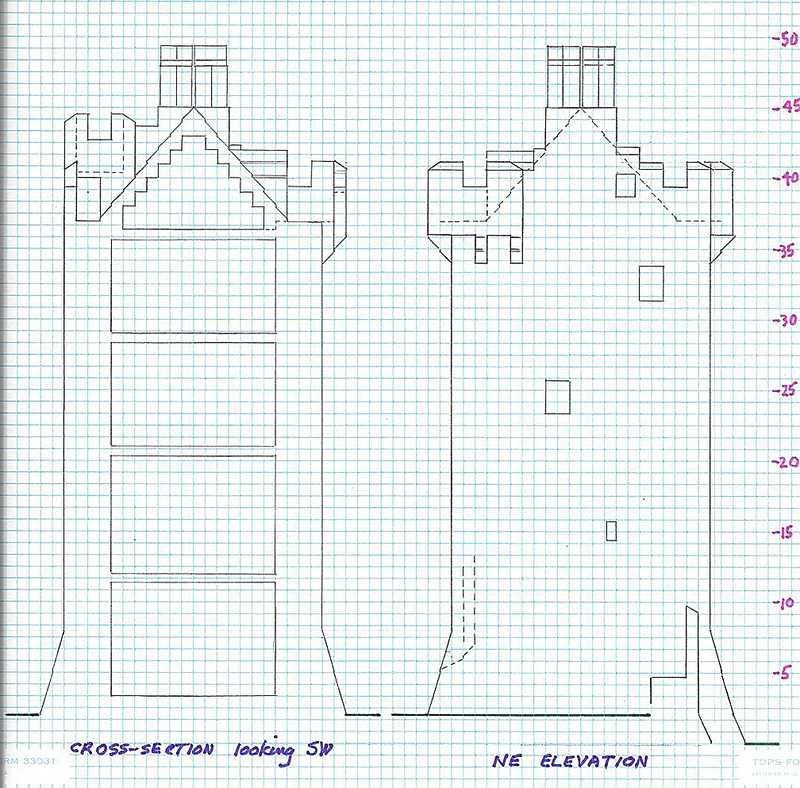 The age of Brackloon is unknown. 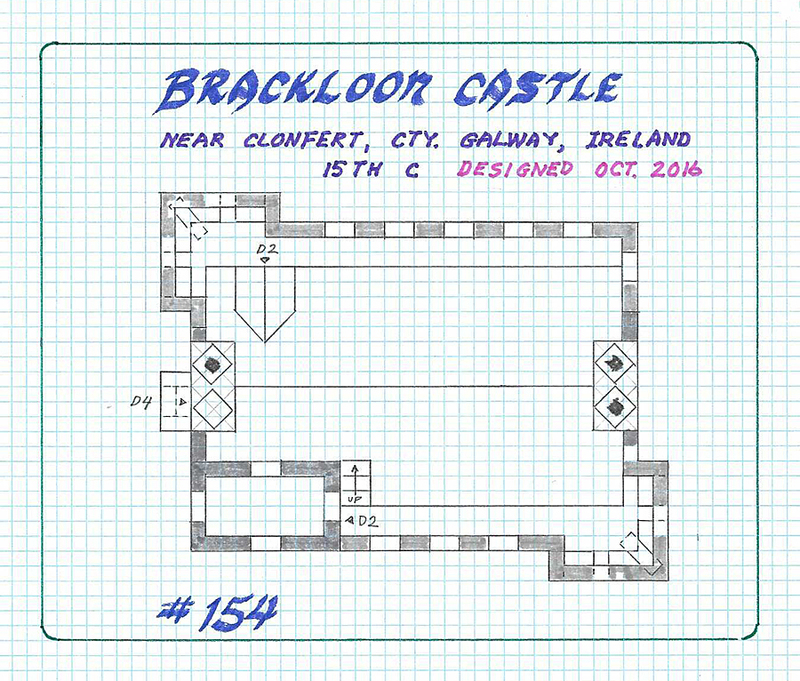 None of my books about Irish castles mention Brackloon, and internet sites usually quote "15th century O'Madden stronghold". 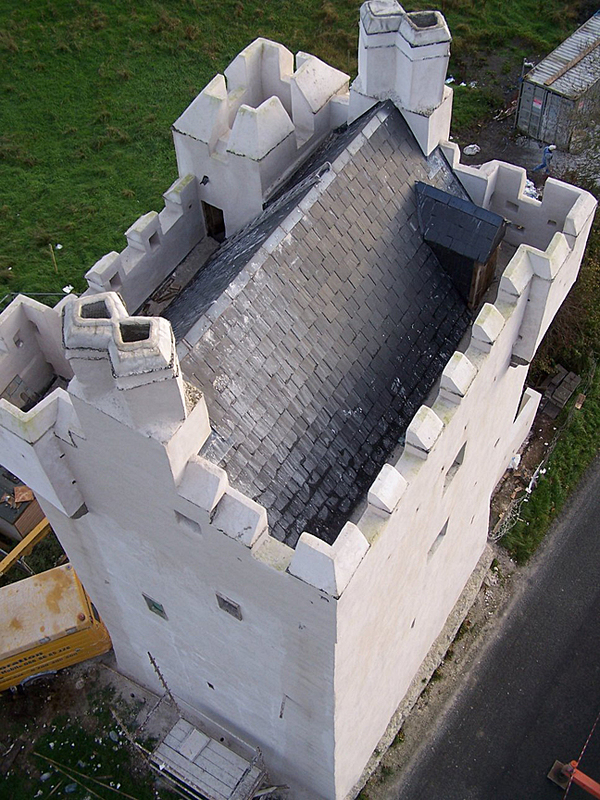 However, the current owner, Ken McLeod, thinks early 16th century more likely, as the first mention of the castle is the 1547 Annals of the Four Masters. 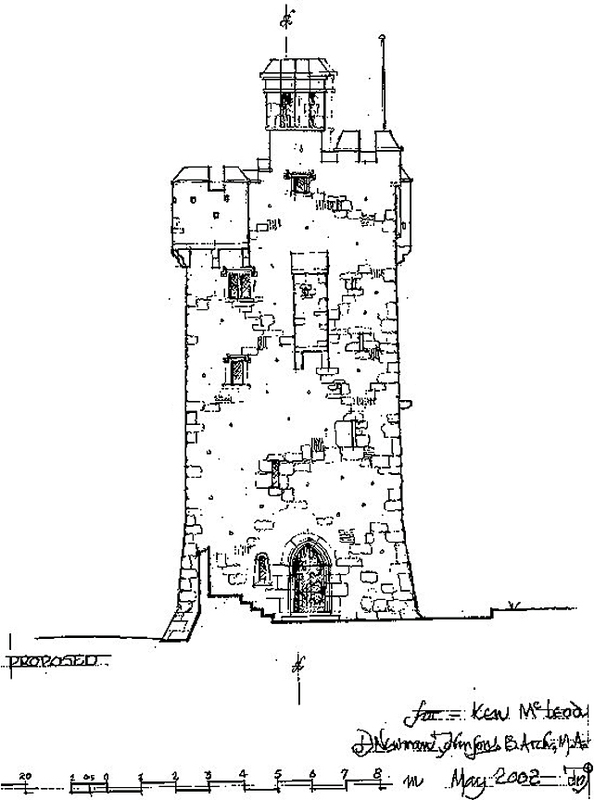 In 1557 Brackloon was taken by the Tudor forces of Mary I, who was attempting to rout the troublesome O'Connors from the area. 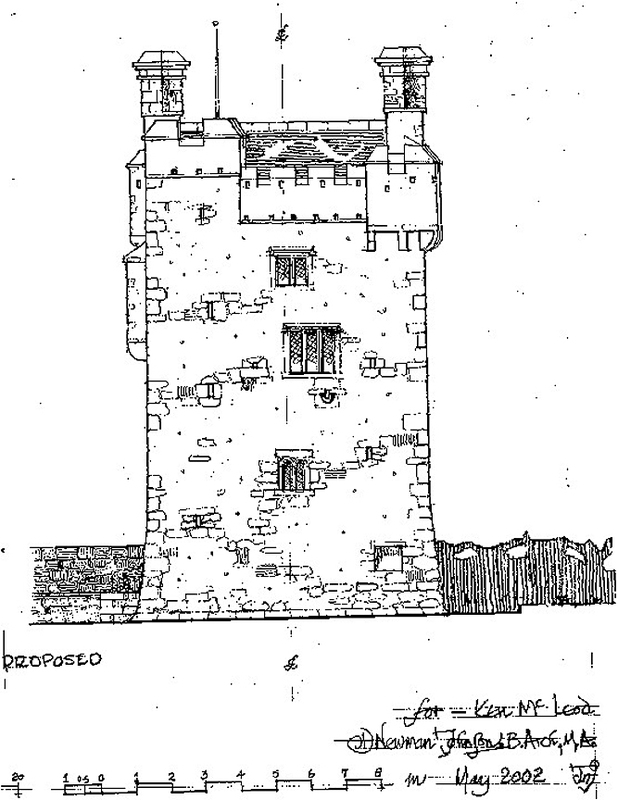 Rory O Madden was pardoned by Elizabeth I in 1570, and in 1574 both Brackloon and Cloghan Castles were returned to Owen O Madden. 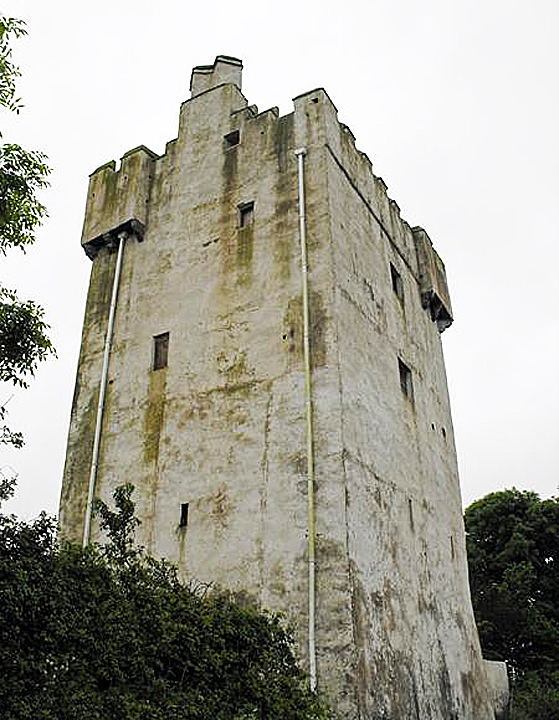 Several O'Maddens are mentioned in Protestant or Catholic Inquisitions in the early 17th century, but there is no mention of the castle being captured until 1651, when cannon caused major damage to the upper portion of the castle. 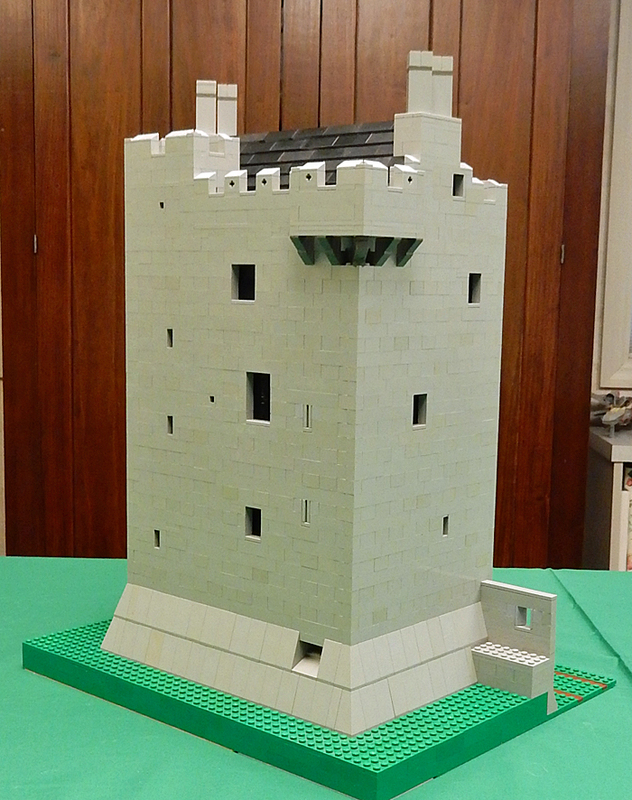 The tower has been restored from a ruinous state in the past 15 years. 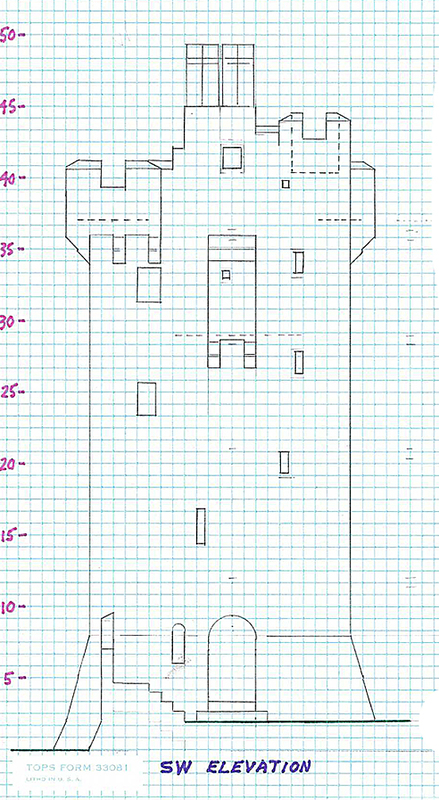 looks a little different than the drawings. 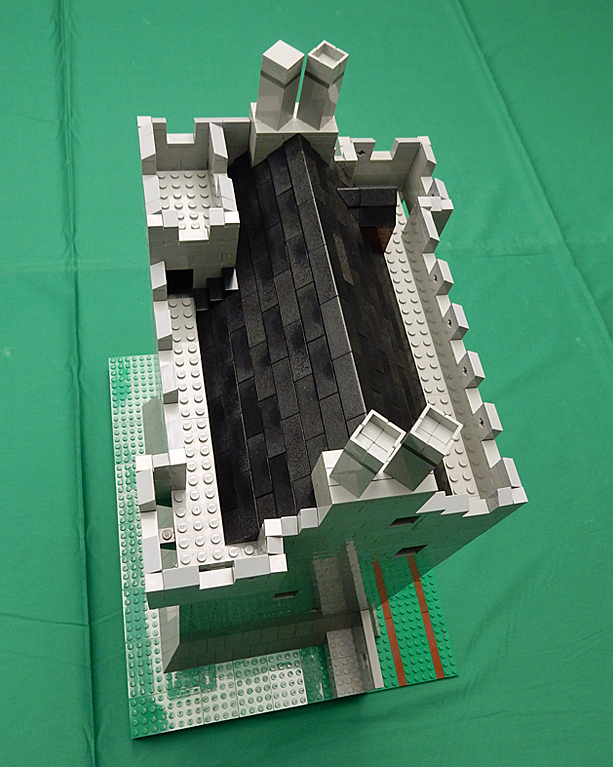 shelter the herd of sheep.